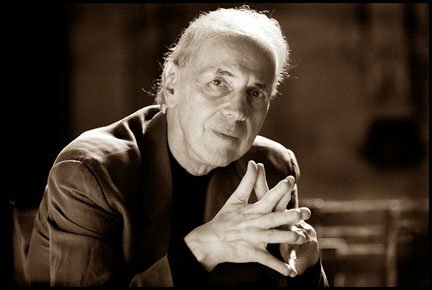 Russell Sherman’s eagerly awaited annual faculty recital on April 3rd at Jordan Hall will feature works long connected with him: Schoenberg’s Three Pieces for Piano, Op. 11, Beethoven’s Sonata for Piano No. 21 in C Major, Op. 53 “Waldstein”, Debussy’s Préludes, Book 2, and Liszt’s Transcendental Etudes (12) for Piano, S 139, No. 2 in A Minor: Molto vivace, No. 9 in A-flat Major “Ricordanza”, No. 10 in F Minor: Allegro agitato molto. He tells us he plays them differently each time. He can also imitate other famous pianists. He has lots to say in a free-form interview which follows the break. Youngish concertgoers and musicians who are not yet old will find it very difficult to imagine either the sea change that took place in the classical music environment in mid-1960s Boston, or the elevation of informed discourses thereon. 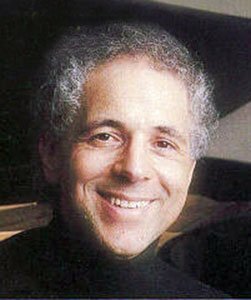 The reason was the arrivals of accomplished musicologist Michael Steinberg at the Globe, then the working hornist, educator, and composer Gunther Schuller, who, as NEC president, engaged the serious piano prodigy (and Edward Steuermann student) Russell Sherman. … still more valid evidence of the rightness of Sherman’s approach [was to be found] in the direct musical result, in the way melodies, figurations, whole paragraphs, took on a coherence in some respects unprecedented in my listening experience with this concerto. Much of the work is, so to speak, about its figurations, a matter in which Beethoven’s invention was prodigious. Sherman’s playing of this material was remarkable in that his vivid articulation went so far as to illuminate that inventiveness and the diversity it produced, and also in being analytically so intelligent as to show clearly, through the phrasing, how the varied surface hangs together and is profoundly, and at every level, related to the root ideas of the composition. It was a performance that managed to ignore, and to make us ignore, all the information that has accumulated about the work in so many thoughtless performances, the obnoxious nickname included. If I had to cite just one example of where this freshness, this refusal to play the piece by ear again, was most evident, I should give you Sherman’s playing of the finale’s main theme; for a moment I really felt as though no pianist had ever before looked at its phrasing, dynamics, articulation, and scoring. … I found Sherman’s super-articulated and individual playing arresting and impressive. 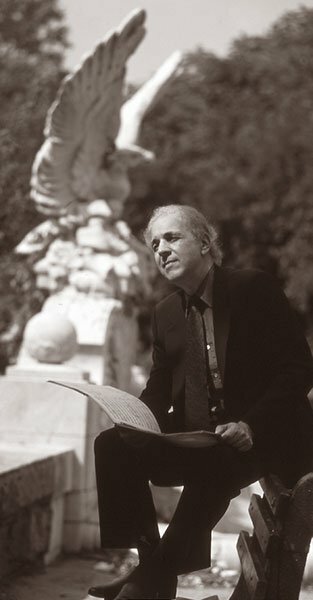 Freshness of fantasy and perception, sensibility, dazzling pianistic skill, honesty, a tremendous intelligence of a nervously questioning sort, … a complicated mind, seeing every question from 10 sides at once, … particularly loves that multifacetedness in music and wants to communicate something of it to his listeners, problems and paradoxes included if necessary. … a boldly free, quasi-improvisational style … delightedly aware of everything that is free, surprising, playful, mercurial, new in Beethoven’s music. … a phenomenal command of kinds of attack, dynamics, … texture, and color. And how marvelously he plays silences! … [a] joyfully troubled battle with Beethoven. Splendid, widely bruited, interior-probing solo recordings of Beethoven and Liszt were made by the Cambridge audio company Advent for cassette release, later on LP by Sine Qua Non (the mastertapes apparently are long lost). There were many more recordings, as well as penetrating writing, memorable aperçus, and at least one Sox or Bruins analysis for the Globe (not discoverable in their archives, alas). In the 1990s some of the pianist’s private keyboard concerns often became salient, particularly his private rhythms. Overflowing Jordan Hall crowds thrilled to these new approaches too, yet some found them overthought and reflexively oppositional. On an Albany CD, the trio in the Scherzo of the Schubert B-flat Sonata sounds strikingly strange rhythmically, to put it politely. Reviews and audience reception remained generally strong, and his recitals since his returning to the stage after having broken his hip have impressed many with a new directness. BMInt was eager to interview the local legend on his 85th birthday year. LE: I want to start out with a question about music critics. To liberally paraphrase Fritz Lang’s Metropolis on ‘negotiating among hands and hearts and brains,’ I wonder if you think that critics in literature or music, or in anything else, provide a useful function in making connections between artists and audiences? RS: There is an inherent animosity between the performer or the writer or the poet and the critic, but it is just a kind of hereditary tic; it doesn’t amount to anything. because everybody who is in that relationship is essential and necessary, and I’m not in a position now to remember the great critics, of literature and poetry and politics, but they’re essential—absolutely. So I’m totally open and convinced of the quality and necessity of good criticism. But, as there are more bad performers than good performers, probably the same ratio exists for critics, too. Wouldn’t you agree? Certainly: Few critics know as much about what the performers are doing as the performers themselves. But I think it’s important for the performers to know whether what they’re trying to do is coming across. When I occasionally write criticism, it’s not so much to make value judgments as to paint a picture of what actually happened, and I think that that can be valuable to performer. If the reviewer is a receptive conduit for what the performer is trying to do, I would think that the performer would want to know if or how it’s coming across. I understand your point. I think it’s very well-taken and logical and, besides, to put it in a different way, the critic must have a much wider frame of reference than the performer. We’re dealing with a few pieces and we’re trying to unearth the secrets, and we get stuck into that wormhole, and the critic generally has a much wider vision of the music and the variety of performances and approaches. So they’re the same and they’re different. They’re different animals and they have different functions. And they both are necessary in this biology of understanding. There’s no problem on that score. There is a certain kind of bias on the part of performers who don’t like to read about their limitations and weaknesses, which may or may not be the case, but from the long perspective, there is a necessary field where both exist, coexist and are both essential. Do you, for instance, want to know whether the sounds that you have in your head are what people are hearing? Well, of course I do, but, forgive me, the first witness to that is likely to be my own consciousness, and performers are filled with their ego, but nevertheless they have some capacity to differentiate between what they consider adequate and inadequate and sterling and lousy, and so, you know, we’re not really deficient in that way. But the critic has this, a basis of comparison with other artists, which often does not occur to the performer. For instance, I play certain pieces, but I almost studiously avoid listening to the interpretation of those works by other artists who have their right and their character and are necessary; just as a matter of my habit, I tend to concentrate on what I’m doing and with a vision that I have, and a vision that is deeply embedded in me, and so I concentrate on that, and my sense of success or failure tends to agree with whether I can approximate that vision. Now that reminds me of something Wha Kyung [Byun, Sherman’s wife, also a distinguished pianist and teacher] just told me, an anecdote I find fascinating, and it is that you are able to imitate other performers. There was a conversation about your saying there are no straight lines in nature or painting and shouldn’t be in music and never are for you, but according to Wha Kyung, you can play perfectly straight as a stunt and can do mean impersonations of Pollini, Brendel and others. Is that an accurate account? I listen to many recordings when we go to bed at night and hear lots of things. And so some feature, some detail, interpretation will strike and seem beautiful and very important, and we have our favorites, you know. I’m for instance, we are both, big fans of Furtwängler, and we hear his performances and the things that we like about it is something that is comparable to my intent. However well or badly executed, Furtwängler was asked what is his theory of interpretation, and he said, “Well, the music starts and then something happens, period.” And so I’m attuned and sensitive to these happenings. I, in a certain way, cultivate them. I think it makes it interesting. I think one of the least attractive aspects of certain performances is that they are predictable according to the standard, a model which we are all are familiar with, and the critical attitude then becomes, “Did it live up to that model or did it not?” But I think we should find our own models and in fact we performers, every time we play, it should be a different model, and that depends on minute circumstances, things that just sort of happen: not the least the sound of the piano, the action of the piano, the feeling about the audience, the atmosphere, the day of the week, and so there are many variables, and I, in a certain sense, cultivate those variables. I don’t ignore them. I’m fully aware that there is a certain sense of authority or authenticity that (sings) about a piece of music that requires vague, careful opinions, subservience, to that. So it’s balancing all these things, see. Well, you never stop surprising us, and you never stop exploring. Wha Kyung also said that she recently listened to you play the Waldstein three times with tremendous differences each time and that’s a piece that you’ve been playing most of your life. Your mercurial qualities, if that’s the right word, make you a piano-demigod in a way that someone who doesn’t project the sense of surprise and wonder can never be. I trust your expert opinion. One thing I would take issue with is ‘mercurial.’ I don’t think that these are just impulses that are done for the joy of surprising and respond to the sound that is happening and that I think is very important for a musician and a performer. To respond to the actual sound and to take the consequences of that particular sound, which may have been quite accidental, and fulfill them as it goes through the work, and as it goes through the movement, there are implications and consequences. There are moments in your best work when it seems like the universe stops spinning; such magic shows that the muse is still speaking to you when you’re on the stage. I appreciate that very much, and that would be my vain hope that I am in touch always with that muse. And I’ve always had that image, actually, that when I’m onstage somehow I can see the magic, that muse, and something, a little more than just mist and some semi-reality; the muse is talking to me and guiding me. You put it really well … and it’s true. Can I ask you some technical questions? In terms of coloring, you may be the great colorist of my listening experience. Can you explain, without giving me a piano lesson, how much of it is done with fingers and how much of it is done with pedals? Well, you certainly are perceptive to mention the pedal. Pedals are the ‘soul of the piano,’ to quote Rachmaninoff: the soul of the piano. And the varieties of sound, and the distinctions between the short and the long, there are thousands of variables in-between, no pedal and full pedal. And so I think the habit, it’s my habit, is that there is a constant recourse to the half pedal, mezzo pedal, the semi-pedal, the corda pedal, the eighth pedal, and it is a deterrent to the production of the sound; it is not something separate, you play the notes because of harmonic constancy in a certain passage; you put down the pedal, you lift it up and you put it down. There’s no such thing for me—it’s never down or up—it’s always in some transient status which is heeding the life of the music. You’re very wise to recognize that. It’s a dominant feature. The piano, in a way, is a very blunt, black-and-white instrument. It’s a box, you know. And it makes dry sounds and it makes wet sounds neither of which is particularly interesting except at certain moments. At certain moments, you would see for instance, in this Waldstein, a pause, different harmonies all within the same pedal, producing intentionally a kind of blurring effect, a vibrato or vibration of the universe, which is extremely important, attractive, beautiful and marvelous; and there are moments when, of course, a certain dry sound is absolutely necessary. But I would say, in general, there’s always some mixture of the pedal that is a part of the sound (that) is necessary. But I’ve occasionally heard you play a piece, maybe Rage Over a Lost Penny, which is more about notes and velocity more than it is about color. Your performances that I remember were just astonishingly fleet. Are there some pieces where coloration and rubato are secondary or are those always pre-eminent? I would like to help you with that distinction, but the answer is no, they’re always necessary, and it does not depend on the piece, it doesn’t depend on the composer. I don’t automatically use less pedal in Beethoven than I would use in Chopin, just a different kind of pedaling. I think Chopin often suffers from overpedaling. But the work is an individual vision and it requires its own ‘motley crew’ of sounds and servants to bring it to life. The important thing is that every piece you play should be absolutely unique. So beyond color, what about rhythm? How important is a uniform pulse, and do you ever listen to a performance and say, “Oh, my God, that’s taffy-pulling!”? Excellent question. The point is, the pulse is absolutely essential, but the pulse changes and it varies. For instance, in the Waldstein the energy of the opening has a certain brio that you cannot suspend. On the second page the second theme comes, very lyrical, very visionary, very heavenly, and, one could argue, should be the same tempo in fact. That was the argument of my teacher, but I can’t do it. I can’t do it; it simply requires a different modeling. I don’t find this to be a contrary impulse, but a complementary impulse to the opening, so the different tempi that occur, and even within the same passage, for instance the coda of the first movement, are a continuous rush of energy and so forth, but even there, there are subtle changes which were necessary according to the texture and the register—you know whether it’s the bass or whether it’s the soprano, they all have their own makeup, their own genes, and you have to negotiate. You play it in such a way that it is convincing and, above all, there is a totality, a unity. The movement must make sense as a whole, that’s number one absolutely, but that whole does not depend, as it often is played—in a way that I think is not careful really, and not true to the purpose—in exactly the same tempo. The important thing is the unity, and the tempo is for me a rather a primitive way of getting to that finish line. But do you ever listen to anyone and disagree about the extent of rubato and feel that there’s too much pushing and pulling? Rubato means to rob ‘here and there’ and ‘here and there’ and so forth; it is the balance. You can take in rubato, but if these passages are in balance, they complement each other. By complement I mean the feeling of direction, of fusion. That is not just a whim of mine but essential to the performance itself. 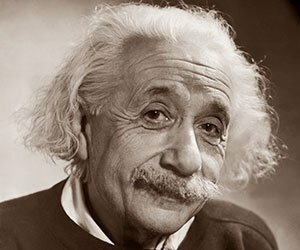 But there would be these slight deviations, just as they found now, Einstein was correct 100 years later that the gravitational waves have ripples and curves and they’re not just straight lines, you know?! Here’s another question I have about what makes your playing so recognizable. Sometimes you will find a voice inside a chord that other people might not bring out. I understand why you might do that, but it poses the question: Do you know if any composers ever gave individual dynamics for the constituent notes of chords? I don’t think that is part of the lexicon. I don’t think that composers do that, but I think composers expect that. It is part of this eternal balance and competition between the unity and the variety—that was the first aesthetic lesson I learned from my teacher, and you know I started with him when I was 11 years old and there had to be this balance. I don’t think it can be achieved by just putting your head down like the bull and charging at the same pace and the same tempo. I think every phrase, every passage, has something in it that is pulling away from the center. I think on the whole though, all of those passages, even if the tempo is changing and rather slightly, not in a heavyhanded way, several around a set … has an inner sun, so to speak, which captures the essence of the movement, which really can only be described as this solar system of tempo changes that surround it. Would Steuermann approve of the pianist you became? I don’t think he would be particularly pleased with my way of playing; he had a more classical attitude about music. What I learned from him was the infinite variety of sound and how important that is on the piano, which is boxed into these black and white keys and black and white sounds. So the variety and the impulse not only to postulate but also to improvise, and that is to make the music spinning and alive, so that it always has an unpredictable element, always something that is surprising … what’s the damn purpose of playing the Waldstein again and again and again and again when it’s played three million times every two months, so people know it. But you have to make it the first time. ‘What it that? The Waldstein? I never heard that piece!’ And yet it has to be authentic. That is the conundrum, you know? That’s it’s authentic and yet unique and unusual. Regarding your old performances, whatever happened to your Advent recordings of Beethoven sonatas and Liszt etudes from the ’70s. Supposedly the mastertapes were lost, but those are legendary performances and some of us would love to hear them again. I know you’ve probably gone on to entirely different ways of thinking about all the pieces, but we would love to find the masters. Do you have a clue? RS: Oh, you’re very charming and that’s very good of you. I can remember more about baseball and the Dodgers, my team, than I can remember what happened to those tapes. I just assume that they vanished into thin air, and I don’t share your regrets about that, because I have this set of illusions, or delusions, that is, it’s constantly changing, and I probably cultivate and covet this change. If I heard those tapes I would probably think, and I believe I share this with most performers, “WHAT? I did that? How stupid! You know? ?” I really think that most of us as performers would feel the same way about their old tapes. So I’ve forgotten that completely. I’m sorry. Well, if something pops into your brain, tell us, because many of us want to hear what you’re doing now as well, but those were moments, and sometimes frozen moments can be worth revisiting. Is there anything other than watching baseball that you’d rather be doing at this point in your life, other than playing the piano for yourself and for us? I’ve been very lucky. I’ve been married to the same gal for 40-plus years and she’s very hardworking. She even has a marvelous crew of students. Her company is great, so I’m very happy. And then when we go out and we go into nature and I take pictures of nature, that is really my secret habit and weakness. I love to take pictures and especially of trees! And I love trees and I love them stripped of their leaves in the winter, and the crazy arrangement of their branches that go in unpredictable ways, for me is a kind of correlative of how I would like to take the piano and make music. Did you ever see The Tree of Life? It’s a beautiful impressionist movie about the life of a family and about the history of time and the universe as seen from the perspective of a single tree. Apropos of your life and the universe, there is a black hole in your biography: you finished Columbia in 1949 and arrived at NEC in ’67. I can’t find any reviews before 1967. I was essentially on the West Cost and away for much of that time. Several years I taught at the University of Arizona, after which I went on to Pomona College, where I taught for several years also. I was just sort of scooting around the West Coast, and those were my ‘salad days’; I was just experimenting. Were you not concertizing in that period, and did you decide to all of a sudden…? RS: I played at the schools, in Tucson and in California, but I mean they were not this top level of concert appearance. I really actually can hardly reconstruct, other than just the general journey and pilgrimage I made. I always had the feeling that I grew up with a very intense and concentrated musical education, because really for some 15 years I was a student on and off of Steuermann and he was endless in his ideas, ideals, quotations, and musical sophistication, and something in me knew that if I was ever going to develop, I had to get away and to find a kind of level and personality and quality that belonged to me, because that’s the whole point of being a performer. If there was an ideal performance, everybody would give the same performance, but clearly the whole ideal of music and of great art, music or painting or poetry: endless interpretations, endless, endless, and so you have to go on that journey and find out where you belong and what your point of view is. So I knew inwardly that I had to get away from New York and from Steuermann, whom I adored and loved and kept in touch with, and go out West. “Go west, young man,” as Horace Greeley said, to find myself. But you made your Town Hall debut before you went west? That was in 1945; I was 15. I was born in ’30 and did that in ’45, and I think, these are vague, I made a subsequent Town Hall, in ’47. But you know, I was finishing college very young and early, and I was infected and overwhelmed with the New York experience, both home life and family and above all Steuermann. And so, I had this opportunity. I was offered a position, first as I said at University of Arizona, which was to die for, because it was the very opposite of the concentrated patricide and matricide of New York, where everybody gets shot and killed, and it’s very hard to grow up there and find your soul. So the Steuermann experience turned you into something of a Flying Dutchman for 20 years? Well, you could say that … it’s his influence and his wisdom that gave me the material for my whole life. And so that was the incubator. Ever since then I’ve been moving out: his ideas, my ideas, but essentially to, as they say, find yourself, and mind your own personality and your own way of doing things. I think that is the obligation of a performer, to find something individual and original. Take this program—I’m playing the Waldstein. Who the hell needs another Waldstein sonata? But for me, it is discovery of a new world, and a novelty, and I feel I approach it that way. I think a distinguishing feature of my personality is to take nothing for granted. If I had heard you play the Waldstein in 1947 in Town Hall, would I have divined what you would have become later? If you heard me play yesterday, you would not recognize it today, because it’s full of insinuations, implications, and stories and myths and legends. Fürtwängler theorized on interpretation, ‘the music begins and then something happens’. And that to me is a constant: something is always happening and of course you respond to that and you have to justify that to fulfill it. What was it about your relationship with Gunther Schuller, what he knew about you, that led him to the brilliant decision to invite you to NEC? Was it your playing; was it your teaching? We knew each other through Steuermann. Gunther’s wife from South Dakota, Marjorie Black, studied with Steuermann, and then there was an incident, which was very unexpected but pleasurable. My summer job was to play for dancers, ballroom dancers, where there was a festival every summer in New London Connecticut, and one of the people I played for was a great modern dancer named José Limón. He was looking for some music to fulfill a certain sort of legendary Mexican scenario he had in mind. And it occurred to me that Gunther had written a brass symphony, which I thought might make sense, and Limón heard it and picked it up and used it, and so all of those things tying together, and the relationship in a way grew and gathered after these incidents of friendship. So it was your musicality as much as your teaching ability that attracted Gunther to you? Well, [laughter] in a way I don’t think it had much to do with my teaching; no, it was my playing and my approach and my way of doing things, which he trusted much more, to the extent that I was a product of the Steuermann studio. So that enabled a certain sense of confidence. And in fact Gunther and Steuermann both had very certain and sure ways of making music and they were in a certain sense very classical: “here it is, the notes and the instructions, and you do that and you follow that.” Of course I followed that, but I also tried to lead it into different realms of the soul and the clouds, the discoveries, and that was always necessary for me. One of your gold stars as a teacher, probably your greatest in a way, comes from how no two of your students sound anything alike. That has been often remarked. It’s very hard for me, so close and personal, to make that evaluation, but other people say that constantly and I accept their judgment. I remember a conversation with you about how a certain super-virtuoso who studied with you got the least from the collaboration of anybody that you had ever taught, but I think that nameless person has grown a lot. It just may not have happened instantly, but I think you planted a seed. Why nameless? That’s Hamelin. Marc-André Hamelin. And yes, he had his style in a way, which curiously and amusingly and profoundly he said was influenced by the nuns in Montreal where he grew up, and so he had a fully developed and very compelling way of making music and doing it always with sort of beautiful sound. And yes, you’re quite right in remembering. He studied with me, I don’t know how long, a year or two or something like that, and I often said, and said to you, ‘There’s no student that I made less of an impression upon than Hamelin’. He just went his own way, and God bless him, that’s what he did, and see how successful he became. But I do think that you changed him in a way that wasn’t apparent to him immediately; he seemed to grow more comfortable in his own skin and the rectitude became a little more flexible. He is a great pianists’ pianist, but his loosening up in a certain ways was what enlarged his career. Well, I trust your observation. It’s a little hard for me to see that from up close, but I hope that was the case, and I agree with you, he is a great pianist and a kind of infallible one, I mean the guy never missed a note, he just never missed a note, and he played with these extremely flexible, almost soft hands, that just sort of caressed the keyboard in an effortless way, effortless. For me playing is full of effort, and trying, and working hard. That is the polarity, the opposite pole, but he is a very charming and very sweet, good-natured human being. By now that he doesn’t have to prove anything by playing the Godowsky versions of the Chopin etudes or any knuckle-busters; he is letting some of his initial sweetness come through the standard repertoire. I heard him play the Schubert B-flat posthumous sonata and it was exactly that kind of ‘head mixture’, [with] his kindness and effortless good nature, and it rolled right in the tenderness of the music and the lyricism of it. It was very compelling. But this is the point: it was one way of doing it, one wonderful way of doing it. There are other ways, and that’s what makes the world go round. But he’s absolutely admirable in his beautiful, angelic way, and I mean he might object to that and might say he also has the devil in him. I don’t know. I know I’ve got quite a bit of devil in me, though! I have to observe that we worry when we see you walk out onto stage. But the moment we either shake hands with you and feel your enormously firm grasp or watch you play, all of our anxiety in your behalf evaporates and we can suspend our disbelief and allow your music to sweep over us again. [laughter] You’re right! My football days are over! I cannot play even tight end, much less quarterback! I’m pretty sluggish and, of course. I use a cane and in fact for this concert my wife will accompany out onto the stage. But that’s a price of age, and I’m not going to gripe about it, that’s just the way it is. That’s one of the tragedies of my life. When I was about maybe 17 or 18, I used to have a very strong arm. I was very proud of it. I was a lousy runner and a very mediocre batter, but I had a great arm. And then one spring, the sun came out and I rushed out to the softball fields in Central Park and immediately starting throwing the ball around and threw it too vigorously and ‘threw out my arm’, to use the old expression, and in fact it never came back. And it would have required, no doubt, some surgery. So that was the fairytale of my youth, but I’m very pleased that you bring it back to mind. Occasionally I will show-off and go through the motion of the old time pitchers. I was always a Dodger fan. When I was growing up they had pitchers with very colorful names. I loved the name of the pitcher Woodso [actually Whitlow or Whit] Wyatt and Kirby Higbe. They had another pictcher with a most engaging nickname; his name was Luke Hamlet. Easy to remember, because Hamlet had just won the Daytona 500, but this was Luke Hamlet, and his nickname was ‘Hot Potato’! I don’t know why, but I think maybe because so many of his pitches ended up in the stands as home runs? And that’s about the extent of my memory. Do you ever find any humor in music other than secret impersonations? Humor as in humorous. I don’t see you smile a lot. You mean ‘fun’ humor? It’s a conceit, but some moments, the music is sheer pleasure and fun, and should inspire a smile in the audience. It is not inconceivable to me, since I think the idea of music is that it is luminous and exceeds language by far in its range of meanings and variables, so why not? I think there ought to be a muse of the wry smile and the muse of the broad smile. Because, you know when you do force yourself to smile, you produce endorphins and feel wonderful. There must be a muse for that, and we should all celebrate that muse. It’s working right now and I’m full of endorphins! I’m enjoying this conversation very much. But I should probably get back to practice. Well, it’s been a real pleasure, Russell. Everybody will enjoy reading it, I’m sure. I must know about that. I want to know who’s more quick on the ball. It’s worth noting that reviewers, as well as performers, are affected by the instrument, the audience, their state of mind, their state of health, and myriad other influences. This interview is a classic! Well done both. Let’s hope the recital lives up to this lively and imaginative conversation. Thank you for posting this interview, with all of its odd sidetracks and unexpected twists that somehow wind up feeling utterly essential — not at all unlike a great Sherman performance. And one that throws down the gauntlet for the feeble among us who aspire to perform and to write about others’ performances. record set on the Everyman Series SRV 354/5 SD. To fill-out the 4th side, Sherman recorded both the Dante Sonata and the Ville d’Este for Vanguard. In 2004, Artemis/Vanguard Classics released, on a 2-cd set both the original Advent/Vanguard reocrding of the Transcendental Etudes (sans the Dante Sonata and Ville d’Este) along with a re-release of the Earl Wild’s Demonic Liszt recording. The catalogue number for this set is ATM-CD-1488. It can be found on Amazon as well as other sites. In regard to the early recordings of the Beethoven Sonatas, The Waldstein, Tempest, Appassionata, and the Sonata in E-flat major, Op.7 were recorded and released on a 2-LP boxed set on the Sine Qua Non label, catalogue number SAS 2021/2. Sine Qua Non also released two of the aformentioned sonatas on one LP. I would think that either someone on Ebay or Amazon has the beethoven box or single LP for sale. My contribution failed to trace the Liszt Etudes path and later manifestations clearly, plus the augmentations. Fortunately they are now on youtube. Local loudspeaker entrepreneur Andy Kotsatos (then Petite) was involved, I believe; v good sound. The Beethoven were recorded not by SQN but by Advent, as I reported. SQN merely pressed them on LP; I was asked to assist with QC of that project, and also wrote notes. Tom Holman (THX) was a recording engineer for them, for spectacular sound. I have never seen those SQN LPs for sale used, but have not tracked their fate carefully, having my own album copy; the disappearance of those masters is woeful contemplation enough. Having just discovered an unplayed copy of the original Advent cassettes (with much pre- and post-echo by now, alas), I am hoping to get them digitized as well as possible and posted to youtube. All of the ‘early’ recordings are very much worth knowing and stand up very strongly today, I (and others) find, no matter how the artist now feels. Especially that long Sonata 4.